Much like Hot Shots Golf, Wipeout and I go way back. In fact, Wipeout XL was the very game that got me back into videogames after a two-year hiatus in college. 16 years on, the series has had ups and downs, tweaking each installment while trying to keep the series faithful happy. The series’ introduction to the PlayStation 3 with Wipeout HD and its subsequent Fury add-on pack were certainly high points (the 3D functionality patch was a fine bonus). Developer Studio Liverpool looks like they want to keep that positive momentum but there are quite a few new features they want to try out. Would you believe there's now a battle mode where the hovercrafts are capable of near-instant 180-degree turns? While not noticeable when zooming down straightaways at breakneck speed, there is a first-time change in regards to the track aesthetics. The courses are now made up of roads from the urban environment itself, much like a city-based grand prix. 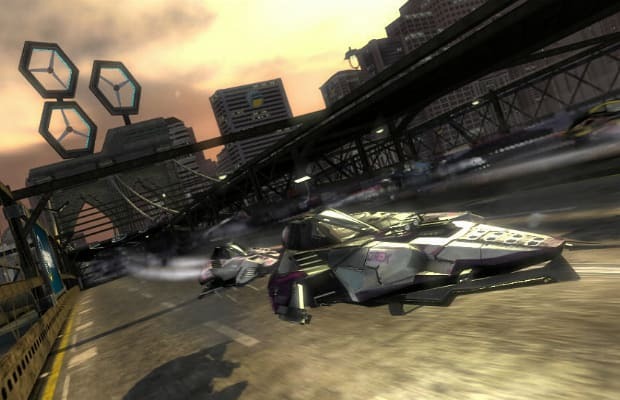 Developer SCE Studio Liverpool uses this design shift to position Wipeout 2048 as a prequel, before the sport gained enough popularity to have it’s own dedicated courses.